While we have some great fall foliage right in Boston at the Public Gardens, you can’t beat the views of rolling hills and quaint country towns decked out in varying hues of red, orange, and yellow. 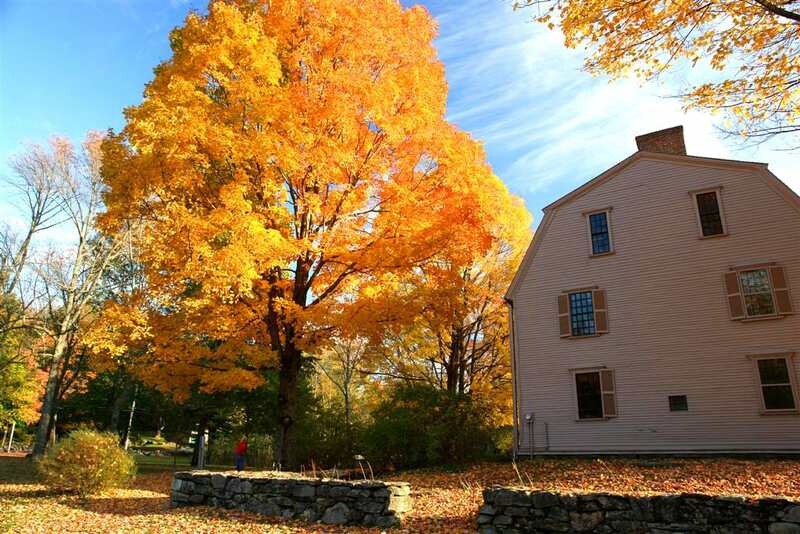 We’ve put together a day trip right in Massachusetts that not only takes you for a great drive amongst changing leaves, but also brings you to some beautiful towns that are fun to visit year-round. Whether you follow this route exactly or use it as inspiration for towns and places to visit, you’re sure to have a great time. Our first stop along our foliage journey will be after swinging north and traveling through the picturesque town of Concord. 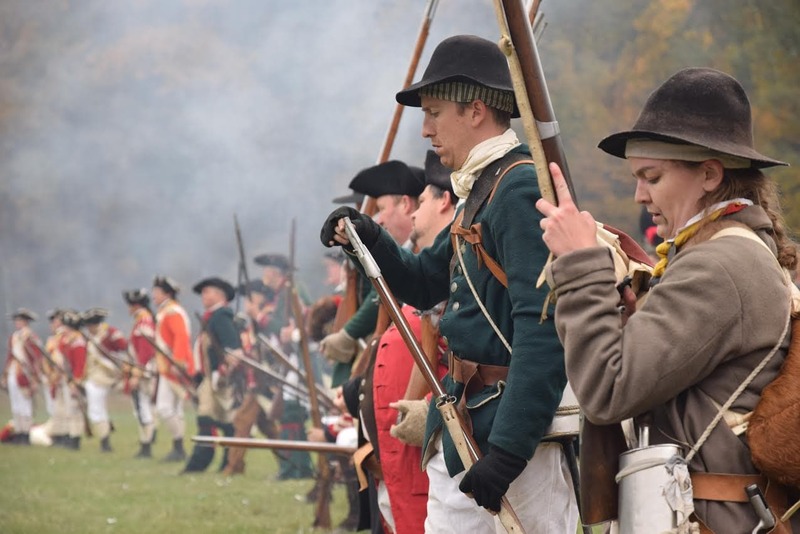 The Battle of Lexington and Concord was the first conflict in the American Revolution so there is plenty to do to keep history buffs entertained for quite a while. Not only can you walk across the Old North Bridge, but Concord is also home to some literary and philosophy giants – Ralph Waldo Emerson, Nathaniel Hawthorne, Henry David Thoreau, and Louisa May Alcott. You can step right into their shoes at the Old Manse, Orchard House, and Walden pond, as well as visit several of their burial sites at the famed Sleepy Hollow Cemetery. 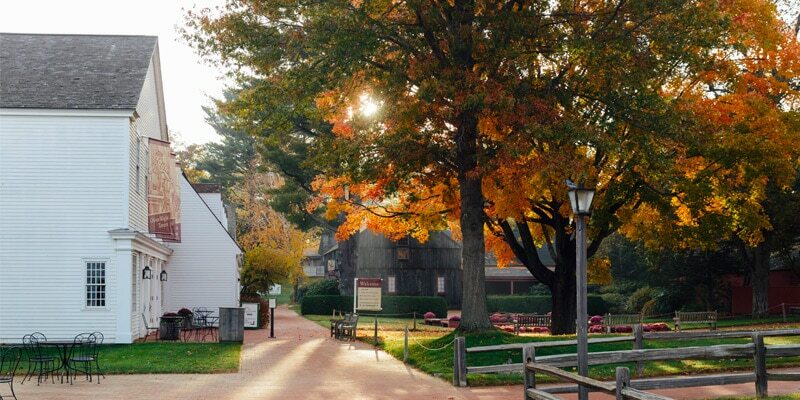 If you spend too much time in Concord and need to call this the end of your trip out west, be sure to take a little extra time to swing south and stop by the Wayside Inn down in Sudbury made famous in Longfellow’s book, Tales of a Wayside Inn. If you play your cards right, you might even stumble upon a Revolutionary War reenactment! Continuing on from Concord, we’ll be traveling west along Route 2 through Western Massachusetts. The scenery along the way is beautiful, but feel free to stop at one of the conservation areas or state forests along the way. Lemonister State Forest is just off Route 2 and Wachusett Mountain State Reservation is close by as well if you are up to a more challenging hike, but there are plenty of options along the way for you to step out and become part of the beautiful landscape. A highly encouraged fall pit-stop is Carlson Orchards located in Harvard, MA. Whether or not you want to commit to a full apple picking, you would be remiss to not grab a dozen freshly made apple cider donuts for snacking along your drive as well as a cup or two of warm apple cider. 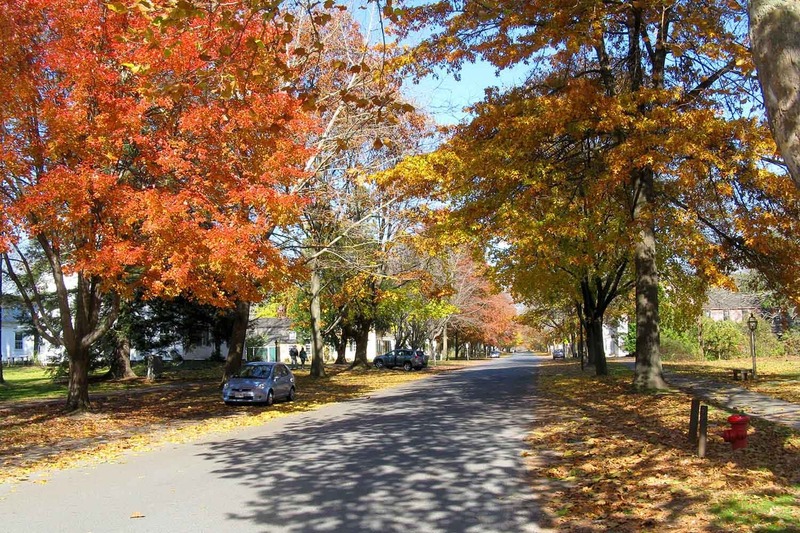 Once in Shelburne Falls, you’ll have reached the western most point of our foliage drive. 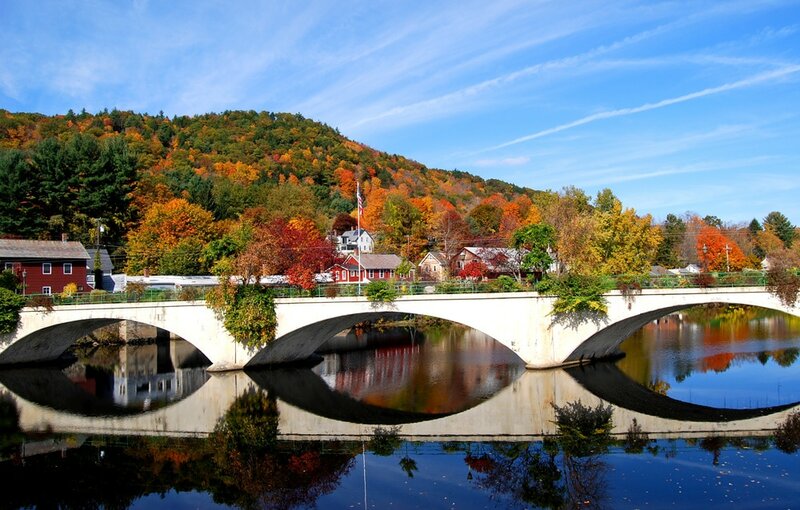 A quaint town perched on the Deerfield River, Shelburne Falls is most well known for its pedestrian Bridge of Flowers, a great spot to take in the sites of the surrounding hills. Continuing on south, we’ll next stop in the town of Montague. Nestled in the heart of the Happy Valley, Montague is home to the Montague Book Mill, a truly unique book store (it was once a grist mill) perched on top of a rushing river, and connected to a wonderful cafe, the Lady Killigrew Cafe. There is some great outdoor seating if the weather is right, so now is the perfect time to enjoy some lunch or a snack before perusing the art galleries right next door. 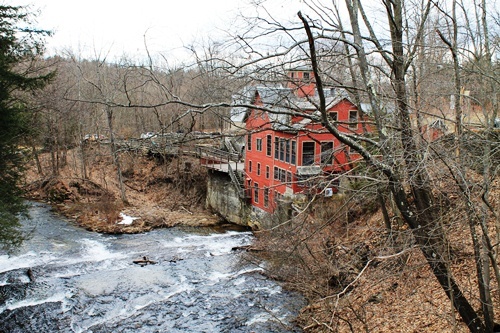 A must-see town adjacent to Montague is historic Deerfield. Whether you just drive through the idyllic downtown, or actually stop to explore some of the historic homes, Deerfield is perfect in autumn. Once back in your car, continue south past Mount Toby (another spot for a hike if you’re so inclined) and toward the small college town of Amherst. Amherst is home to several colleges, including Amherst Coolege which has a beautiful campus that is worth a visit. Not to be missed, our very own coffee roaster, Share, has one of their busiest cafe’s right in town! In fact, Share’s coffee roasting headquarters is located just a few short minutes from Amherst in the quaint town, Hadley. If you’re a fan of our coffee and in the area when they’re open, be sure to stop by the roaster on your way back to I-91 and 90. Continue on 90 East, headed back to Boston & The Lenox. You’ll continue to pass through many great towns worthy of stopping in. If you have the time and inclination, Old Sturbridge Village in the town of Sturbridge is a living museum that recreates what life was like in New England in the 19th century. 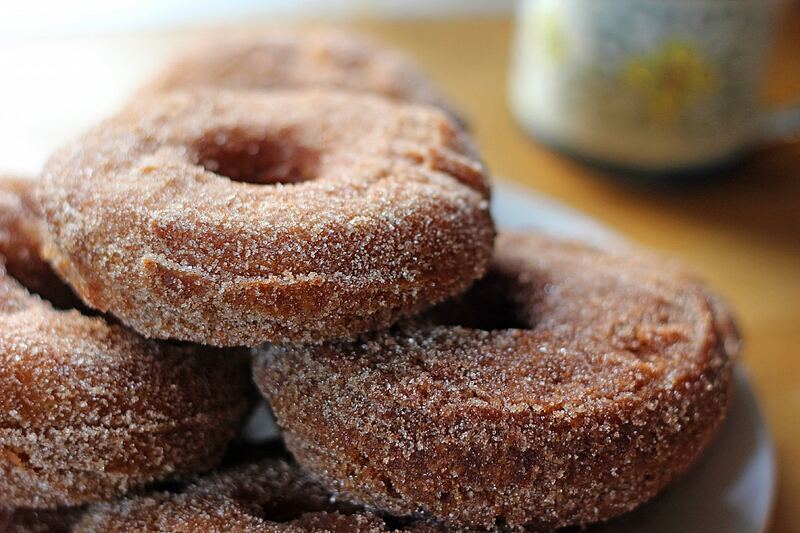 By now, you’ve probably finished your dozen apple cider donuts and are regretting not purchasing a dozen as backup. Rest assured, it’s not too late! For one last taste of fall to bring home or finish along the way, be sure to stop by Foppema’s Farm in Northbridge for one last donut or cider fix.